You've probably been thinking it for years now: having a Starbucks on almost every corner in some places, while occasionally convenient, is just too damn much. But now, after facing weak sales, the global coffee empire announced this week that it plans to reduce its aggressive over-saturation in places across the United States by closing 150 stores in 2019. That's about triple the number of stores it usually closes in a year. The problem, Starbucks told investors on Tuesday, is that many locations -- mostly in big cities -- are cannibalizing each other's business, according to a report by Forbes. The company lowered its performance forecast to a 1% increase in same-store sales next quarter, which is lower than what investors were expecting. In addition to shuttering the unusually high number of company-owned stores, the coffee empire is also planning to reduce the number of new licensed locations (think hotel lobbies and airports) next year. However, the report points out that Starbucks expects its total number of stores in the US to increase in 2019 with new stores opening in the South and the Midwest, or places where you're less likely to trip over a Starbucks. Execs at the coffee giant are also betting on an overhaul of the Starbucks Rewards loyalty program, mobile ordering, new menu items, and a renewed focus on its tea offerings to bring up sales in the US. 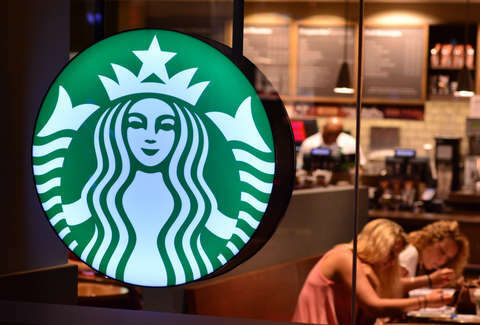 "We must move faster to address the more rapidly changing preferences and needs of our customers," Starbucks CEO Kevin Johnson said in a statement, per a report by CNBC. "Over the past year we have taken several actions to streamline the company, positioning us to increase our innovation agility as an organization and enhance focus on our core value drivers which serve as the foundation to re-accelerate growth and create long-term shareholder value." For perspective, Starbucks has more than 22,000 locations all over the world. New York City alone is home to more than 300 of them. Closing 150 Starbucks may be a smart business move for the company, but maybe don't expect to stop feeling like there's one on every corner. Tony Merevick is Senior News Editor at Thrillist and has a feeling people will still have easy access to Frappuccinos. Send news tips to news@thrillist.com and follow him on Twitter @tonymerevick.